Will 2020 be the beginning of Medicare Supplement Plan F premium increases? If you’re wondering what will happen to Medicare Supplement Plan F rates after 2020 you’re not alone. More people have Plan F than any other Medigap policy. It’s been popular for a reason. It’s currently the most comprehensive Medicare supplement on the market and most insurance companies sell it. But that’s about to change. Legislation passed in April 2015 will not allow Medigap policies to cover the Part B deductible. Currently both Medicare supplements F and C pay the Part B deductible. The reasoning behind this is to eliminate first dollar coverage and ensure that you have more skin in the game. If you enroll in Medicare Part A prior to January 1, 2020 you can still buy Plan F. The real concern is that Medicare supplement Plan F rates will increase faster than they normally would if new insured were buying the plan. As the risk pool ages it stands to reason that claims will increase causing Plan F premiums to increase. If you have Plan F now or buy it prior to January 2020 it will not go away. You will still be covered under the plan. You may not be overly concerned about any rate increases that are sure to happen. When Medicare Supplement Plan J was dropped from the list of standardized supplements in 2010 many people just kept the plan. The choice is yours. Because Medicare supplemental coverage consists of 10 standardized plans (and high deductible Plan F) is easy to compare supplements online and get rates from several companies. If you are interested in the plan that will be the most comprehensive beginning in January 2020 take a look at Medicare Supplement Plan G. The only benefit missing from Plan G is Part B deductible coverage. With Plan G you will pay your own deductible but you will avoid Medicare Supplement Plan F rates that are sure to increase. The best time to buy a Medigap policy is during open enrollment when you first become eligible for Medicare enrollment. During this time you cannot be denied coverage for any pre-existing health conditions. If you have yet to reach your Open Enrollment Period you may want to consider Plan G and avoid the future rate increase of Plan F or the hassle of switching Medicare policies. But it you what to keep your Plan F supplemental benefits you can. The uncertainty that will exist for you is if switching plans will require medical underwriting. Typically when you down grade to a plan with less benefits from the same company underwriting is not required. But there’s no guarantee that practice will continue. Switching to another company will certainly trigger an underwriting process. Which poses a new question: Will political pressure result in people switching from Plan F and C trigger new Guaranteed Issue Rights? If so, you will be limited on which plans you can buy. During your Open Enrollment Period you can buy any plan that a company sells, not so when you are entitled to Guaranteed Issue Rights. Getting these rights may be fantasy. You have a couple of years before Plan F premiums start to increase do to a shrinking risk pool so you have time. But being aware of what could happen will allow to to be prepared. Jessie, To find Medigap rates in Georgia visit this Georgia Office Of Insurance site. Once at the site scroll down to the bottom of the page and enter your information to see rates for all companies offering Medicare supplement policies in Georgia. You will also be able to view all Medigap plans so you can compare all plans available. I know that you referenced Medigap Plan F, but also take a look at Medicare supplement Plan N if having a lower premium is important to you. Also, you didn’t mention your age and you should know that all States do not currently require insurance companies to offer Medigap policies to people under 65, even if they are Medicare eligible. You may want to contact an agent in Douglas Georgia who is knowledgeable to get accurate information on this topic. If you are unable to obtain Medigap insurance take a look at this article on Considering Medicare Advantage For 2011. I was going to change Medicare plans, and picked Healthnet ( in Arizona) had all of the paper work in early, as they called me to get it in quickly. I received a letter saying CMS will not allow Healthnet to accept me….then today, I received a medicare card, so apparently, I was rolled into regular Medicare, when CMS investigated. Arloa, Choosing a plan that is suitable for you is dependent on your circumstances so a recommendation from me would not constitute a good reason to choose that plan. (That was my disclaimer!) I like Medicare Supplement Plan N. Because of the cost sharing, the premium is reasonable without watering down the benefits. Once you meet the Part B deductible, you may have a copay up to $20 for doctor visits and up to $50 for ER visits. Otherwise the coverage is predictable and comprehensive. Keep in mind that you will need to enroll in a Part D plan, as Medicare supplements offer no drug benefit. I am searching for the price of AARP Plan F. This web site is misleading. Price never shows up. Phoebe, This is a blog about all types of Medicare plans and news about Medicare related items. I’m sorry it’s not what you are looking for. Given the fact that there are many different Medicare plan options, including Medigap, Medicare Advantage and Part D plans with rates varying by many factors and dozens of companies, this information is not provided here. Mindy, Typically insurance companies underwrite Plan F and you must qualify medically. Not all companies have the same underwriting guidelines for Medicare supplement Plan F. The insurance agent may have made an honest mistake and assumed your mother would qualify. That said, the agent is not the underwriter and you may find a company where a hospitalization is in not a deal breaker. Talk to a broker who represents several companies and be up front about your mom’s hospitalization. Another option would be to look at Medicare Supplement Plan N, which in many cases is a guaranteed issue or near guaranteed issue plan. Mutual of Omaha is one company with minimal guidelines on Plan N. The premium is much lower with not too much more out-of-pocket cost sharing expenses. Is there any advantage to staying with Plan J over Plan F? Frances, Not really. Home health care is now part of Medicare benefits so supplementation is not required. One downside of switching to Plan F means that you will more than likely have to qualify medically, so if your health has deteriorated you may want to stay with Plan J. If you are healthy check to see if there is much difference in premium. Hi. I have a question about home health care Medicare benefits. What constitutes a “Medicare approved” home health care service? My mother has Plan F, which picks up the 20% of OT and PT that medicare part B does not cover. Those therapists recommend that she have help in the home until her injured arm heals. How does one determine if a home health care provider is Medicare approved, and does one submit those bills to part B or F? Linda, Medicare now pays 100% for medically necessary skilled care services and medical supplies for home health care. A doctors order is required for it to be a covered expense. Normally the company that the therapists are associated with will request that your mother’s doctor provide the order. As long as you have a doctors order your mothers home health care will be covered by Medicare. The company the therapists work for will file the claims. Thanks for the question. Sara, This site is not owned or operated by Mutual of Omaha. Generally Medigap policies do not include the kind of discounts you are referring to. Call Mutual of Omaha’s customer service department at 800 931-8908 to be certain. Craig, Unfortunately you are in a tough spot. Because of the social Security disability your premiums for a Medigap plan will be higher these next two years than if you were aging into Medicare. Take a look at Medicare supplement Plan N. You will have a little more out-of-pocket but the premium is generally much lower than Plan F. If a supplement is affordable to you, the good news is that you will only have the higher premium for two years. Once you turn 65 you will be treated the same as anyone turning 65 no matter what your health. Two other options: Enroll in a Medicare Advantage Plan, even if you only use this type of plan until you turn 65. Many Advantage Plans have low or even $0 premiums like AARP Medicare Complete. These plans typically include Part D as well. If a supplement is unaffordable and you don’t want to enroll in an Advantage Plan you could purchase a stand-alone Part D plan and take your chances with original Medicare. This option will leave you exposed to some unpredictable out-of-pocket costs. I hope that helps. I am retired and I have a Mutual of Omaha Supplement Policy Plan F. I got an increase on Jan 1, 2011 and just got another notice of Increase effective in May, 2011. The net increase of both notices is a whopping 43.3% increase in Premiums. I went from $119/mo to over $170/mo in 90 days? Of course, Mutual of Omaha said the State of Arizona approved both of these so it was not their fault? They say that the increasing health costs caused this. Well, not getting any COLA for two to maybe 3 years and higher energy and drug costs are killing Seniors. But, Mutual of Omaha, who made a 2010 Net Profit of half a Billion dollars…..well, they could care less. Class warfare has begun as only the wealthy will be able soon to afford a Supplement. The rest of us will fall into those dreaded Advantage plans of just plain medicare. If you really look at what you pay annually, it is now as much as the CAP on what you would be out a year in an Advantage plan. Would anyone think all this is a vast conspiracy by the Insurance companies to drive people back into Advantage plans? Makes one wonder. George eloquently put! Although I sympathize with you being on the receiving end of a 43% increase, in all fairness we should state the facts. On March 7, 2011 Mutual of Omaha reported 2010 consolidated net income of $247.7 million. Of this 49.5 million were profits from investment gains. Insurance companies, if managed properly, earn a good deal of their income from investing insurance premiums. Given commissions and marketing expenses, insurance companies typically encounter a negative cash flow during the first year of Medicare supplement placement. An insurance company cannot increase premiums without the approval of a State’s Department of Insurance. When you state that, “Mutual of Omaha said….” you make them some how seem dishonest and they are actually stating a fact. You may want to make your feelings known to the government body that approved the rate increase as well. You are also off on your statement that annual Medicare supplement premiums are nearly as much as the Maximum out-of-pocket for Medicare Advantage Plans. Medicare Advantage Plans for 2011 can have up to a $6700 out-of-pocket maximum. That would be a $558.33 monthly premium! I don’t believe there is a vast conspiracy by insurance companies to drive people into Advantage Plans. From their point of view the regulations are a killer. And Mutual of Omaha doesn’t even sell Medicare Advantage plans! Finally…. if you’re still with me on this rant…. If $1.70 per day is the dividing line between rich and poor were all in it deep! And I’m not trying to be a smart @ss but if $1.70 per day is… we need to use our experience to teach our children and grandchildren to save and invest responsibly and let then know not to rely on the government to either support them or implement regulations that will protect them from our free market. Does Plan F have a benefit paying for YMCA membership? Or, othr health clubs? Walt, Medicare supplement Plan F does not offer any benefit for gym membership. Plan F is a Medigap policy and is designed to cover your share of Medicare covered expenses such as hospital deductible and the 20% coinsurance for outpatient services. Since gym memberships are not part of original Medicare Plan F will not be of any help. Typically Medicare plans that include gym memberships are Medicare Advantage Plans. Advantage Plans are not Medicare supplements but rather another way to receive your Medicare benefits. Your benefits are provided by a private insurance company contracted to administer your Medicare. company, or are there restrictions? Mark, More than likely the company will accept a new application and require you to go through the underwriting process. If you think that might be an issue you may want to stay with Plan G. The only difference between Medicare supplement Plan F and Medicare supplement Plan G is the Part B deductible. The Part B deductible for 2011 is $162. Whether you pay the higher premium for Plan F or the Part B deductible with Plan G it is probably a wash. The insurance company isn’t going to have one plan that is wildly less profitable than another. In other words you’ll pay the deductible either way. I have had Mutual of Omaha medgap plan F for less than one year and now the premium is going up 25.00 per month. Is this worth the extra 300 per year when I am in pretty good health, but will be needing a hip replacement in near future. Is there a different plan that covers good for hospital etc that would be cheaper than 185.00 per month? I need to purchase new glasses and I need help doing so but I can’t find out where to get help. Can you tell me who,what or where do I look? I only have medicare supplement part f with you. Thanks. Donna, This site is not owned or operated by an insurance company. Try calling the customer service number on your insurance card. Unless the company is offering you some extra benefit beyond the standardized plan F benefit schedule you are probably not going to be happy. Medicare supplement plan F fills in the gaps of original Medicare. Medicare does not cover eye glasses so a supplement will generally not be of benefit. David, I’m confused about whether my husband can switch to Medigap Plan F from an employer-sponsored supplement after the special enrollment period for Medigap. On page 11 of Medicare’s “2011 Choosing a Medigap Policy”, it says that he has “guaranted issue right” if he has an “employer group health plan” and that “plan is ending”. Does choosing a new policy (Medigap Plan F) during the annual enrollment period constitute a plan ending? We’re in Washington state and he’s retiring as a state employee where they offer Uniform Medical Plan as a state-funded PPO plan for retirees. Can you help? Do you know where this would be clarified in print? Many thanks. Christy, The Annual Enrollment Period refers to Part D and Medicare Advantage plans. There is an Open Enrollment Period for Medigap. This period lasts for six months and begins on the first day of the month when you turn 65 or older and enrolled in Medicare Part B. If your husband falls into this category you should have no problem switching. I’m not familiar with Uniform Medical Plan as a state-funded PPO plan for retirees in Washington State. I would have your husband talk to human resources to clarify the issue as to whether his retiring constitutes the ending of the plan if he does not want to continue. It stands to reason that he shouldn’t be forced to keep the plan. Normally when a person retires and doesn’t opt for the employer sponsored plan they have guaranteed issue rights. But… the Choosing a Medigap Policy booklet also states, “Note: In this situation, you may have additional rights under State law. As I am neither an expert in Washington State law or a licensed Washington state insurance agent I’d recommend that in addition to speaking with human resources you contact a licensed agent in Washington State. I recently met with an agent who showed me two companies’ plan F offerings. I understood her to say that they are identical, except for the premium. Surely there are other considerations. What should I be looking for in comparing various companies’ offerings? Gene, Your agent is correct. Medigap policies also known as Medicare supplements are standardized plans. Other the the premium a plan could offer some additional discount on ancillary services that is not technically part of the supplement. For instance, AARP Medicare supplements include a nurse help line and vision discounts. The other consideration is how you feel about the company’s customer service and any information you can learn about the rate and amount of past rate increases. Great question. I hope that helps. for dialysis for plan f(can’t find this info in my paperwork). thanks . Fr. John, The basis for requiring a new sleep study sounds like the length of time that has passed since your last study. Ask your doctor if that is the case. AARP supplemental Plan F will pay the 20% not paid by Medicare. Jessie, People enrolled in Medicare have dialysis cost covered 100%. I retired from teaching in NJ and since I did not have the required years for a paid medigap plan by the State, I kept my covereage Blue Cross Blue Shield from the school district. My premium has increased from $910 a month to $1575 a month for my husband and myself. This plan includes drugs. I now live in Florida. Should I leave the district plan which will cost over $16000 a year or should I keep it. My husband is on five drugs which are paid with a $200 deductible by BCBS. This premium will prove a hardship, especially since I am raising my adopted eleven year old grandson. I just found out about the increas and the open enrollment will end soon. what do you suggest? Tina, If I was in your situation I would at least explore my options. If you do leave the employer plan it will be unavailable to you in the future. Visit medicare.gov and compare health and drug plans in your area. You can enter your medications to find a plan that is the most suitable. Beyond the drug coverage pay close attention to the medical benefits and the provider network. If the $16,000 per year is a hardship you may have already answered your question. Here is an article that may be helpful. If I leave the employer plan can I enroll in a Medigap plan at any time or must I enroll during the open enrollment period. Are employer plans better than Medigap plans. I tried to get an answer from the employer but all they said was that it was the same plan I had as an employee. How can this be when I also have Medicare now. Tina, Check out Choosing a Medigap policy: A Guide to Health Insurance for People with Medicare, a government publication that can help you with your questions. If you ceased to pay your premium for the employer plan and that coverage ended you would have certain Guaranteed Issue Rights. As for whether an employer plan is better than Medigap…. all employer plans are different, so that a hard one. Depending on the Medigap plan (Plan F for instance) you would include comprehensive coverage for Medicare covered services, the freedom to choose providers and a premium much, much lower that the premium you mentioned in a previous comment. You would need to purchase a stand-alone Part D plan as well. You would be well served to speak with a local agent who can assess your situation. I am just switching to AARP Complete, from AARP Medigap, Plan F. I was told I could switch back to the supplement anytime within the first 12 months with no health questions, back to what I currently have. I just talked with an AARP rep who said I only had 30 days to switch and retain the plan I have since there is a different plan F in place now. I am concerned about the need for dialysis in the next few years, I’m currently stage 3 and stable, but at 69, things can change quickly. I cannot get a clear answer on what the cost co=pay for dialysis is on Medicare Complete, as opposed to 100% on Medicare Supplement. I’m wondering if I should just keep the supplement and pay the premium so I’m assured of coverage? I sm in tears. I have spent 4 days researching advantage vs supplementsl plans. We spent time with an agent who talked so fast that we couldn’t understand him. I turn 65 in Feb and know I will need a hip replacement this year. My husband turns 65 in 2012 so we will both now have to pay the extra $200/month for Part B insurance (not that I’m complaining – our income is just limited). So, my questions is if it would be to my advantage, considering the hip replacement, to spend the money for a supplement plan rather than relying on Medicare alone? Also, I have read that if I don’t get into a supplement plan during this open enrollment and I develop a chronic condition, I most likely will not ever qualify for a supplemental plan again. I am so confused by now that I can’t make a decision. Thanks for any comments you have. Sorry – I have an addendum. Or would an Advantage Plan be a viable option? Jan, Anyone advising you would need to know more about your situation, including budget. It also sounds as though you are getting some conflicting information which certainly adds to the confusion. I am a fan of Plan F and when I reach Medicare age, I will purchase that plan. Georgia, if you do decide on the supplement plan you could always drop it latter if it becomes too expensive and enroll in an Advantage plan. In the mean time your hip replacement would be covered. Thank you. You noted on 11-16-11 that medicare covers dialysis 100%, and that’s what it says on the medicare information. However, that doesn’t seem right since MA plans have a 20% co-pay and it’s my understanding they have to offer everything medicare offers. My supplement and Part D are an additional $220 a month on top of part B. It does add up and I’m rarely sick. I believe the MA plans save money unless you a have major illness. I could handle the out of pocket cap if it became necessary but I still don’t understand how dialysis is covered under medicare vs medicare advantage. If I may add a note for Georgia. You might look for another agent, both the ones who came to our home were very patient and went through everything and answered all our questions. We’ve had AARP supplement Plan F for 10 years and been very pleased with it. However, the premiums for Part B, Part D and our supplement did add up for the two of us. I went back several years and tracked what we would have spent ourselves and felt it was worth it to gamble what we were paying in premiums against having a major illness and having to pay the out of pocket cap for the Advantage plan. It’s an individual choice but I know there are some very good agents, call the company and ask for an in-home visit. As you are not yet 65, you have some time to do further checking. Check what you would pay out for premiums vs what your total out of pocket cost would be for a hip replacement. You might go with a supplement and your husband takes the advantage for a year or so and then compare. I recently changed from Plan F to Plan G believing the coverage was exactly the same except for a $162.00 deductible. With that deductible and the monthly cost, I would still be saving money. However, a friend told me they thought Plan G paid less than the standard Medicare amount, so I would be paying more out of pocket. Is this true? (I hope I haven’t made a mistake in changing.) Will it be a problem to go back to Plan F during the next open enrollment? Lida, You are correct. Your friend is not. The only difference is the Part B deductible. Regarding AARP’s plan F – what is the policy on pre-existing conditions? Infusions of Remicade ( done at the hospital) for psoriatic arthritis that was diagnosed last year – or is there a six month waiting period from effective date of plan? Roberta, A lot depends on when you sign up. If you are in your Open Enrollment Period or a Guaranteed Issue Period, pre-existing conditions will not be an issue. Underwriting can vary depending on which State you live in. If you are not in the Open Enrollment Period or Guaranteed Issue Period you first have to pass underwriting to get a policy issued. I know in Florida, where I live, there is a 3 month waiting period for pre-existing conditions. You should talk to an agent licensed in your State to get specific information. I have plan B under the AARP Supplemental Health Ins. company. I could have sworn that I signed up for the plan that provided coverage for skilled nursing facility. Is it possible that plan B at some point dropped that coverage? How can I get a copy of my original application form? Also, my husband is still covered under his former employers plan as a retiree and it may provide for skilled nursing facility coverage. It is not a supplemental plan, but I am still covered under it and do not use it for anything other than prescriptions (which qualifies as equivalent to Part D coverage.) Can I utilize this coverage should I find myself requiring care in a skilled nursing facility? I understand from a response to a question above that I cannot switch from plan B to plan C without going through the underwriting process. Arlene, To my knowledge Medigap Plan B has never included skilled nursing coverage and if it did when you purchased your benefits would be grandfathered-in. You could request a copy of your original application from the insurance company but it would probably not include an outline of coverage. To determine if you will be afforded coverage under your husband’s policy you should contact his former human resources department. Original Medicare will pay 100% for the first 20 days of skilled nursing care if it is after at least a 3 day medically necessary inpatient hospital stay. You would be responsible for 20% coinsurance for days 21-100. After that Medicare (and a Medigap policy) pay nothing. If your interest is in care longer than 100 days you should explore a long term care insurance policy. Popular plans are offered by Met Life, Genworth, Prudential, Mutual of Omaha and others. we are 65 for me and 68 for my husband and have medicare A.
as what to add for supplements b f m n.
For instance could we acquire N with just medicare A.
securily when it comes to health care. I have no clue of what to do – all is so complicated to understand. France, You would benefit from a face-to-face meeting with an insurance agent you can trust. France, I’m sorry, I do not consult on an individual basis. Once in Texas, you could consult with a local agent in your area. I turned 65 in January and will be signing up for Medicare Plan B tomorrow. I am considering AARP’s Plan F, but an agent from Mutual of Omaha called me. I am tempted, but I am concerned about possible horrendous increases I could not possibly afford, should they occur, as happened to George. “I am retired and I have a Mutual of Omaha Supplement Policy Plan F. I got an increase on Jan 1, 2011 and just got another notice of Increase effective in May, 2011. The net increase of both notices is a whopping 43.3% increase in Premiums. I went from $119/mo to over $170/mo in 90 days? Rachida, I’d seriously look into the promise by AARP that their Medicare supplement rates will remain frozen. Check to see if your State’s Department of Insurance can give you any insight to how rates have been raised over time, after all, they have to approve rate increases. V Williams, Yes. But coverage is up to plan limits (generally $50,000) and for emergency care only. Here’s an article. David, thanks for all your help! You seem very knowledgeable and I have a question. If I was on a High Deductible F and wanted to switch to a Regular F, within in the same company, would I be eligible for a guaranteed acceptance? or vice versa, going from a regular F to a high deductible F.
When I ask this, I meant to include, Guaranteed Acceptance WITHOUT underwriting? Mike, It may depend on the company. My experience has always been that if you were moving to a plan with richer benefits (high deductible F to regular Plan F, for example) you will most likely be subject to underwriting. I am awaiting a renewal card for my SUPPLEMENT F program. I believe my membership # 213382781. ALSO—where are the invoices & return envelopes?????? plan F. I have payments withdrawn from my checking acct. my situation or am I at the mercy of the insurance co. I have A and B Medicare. Susann, You can cancel a Medicare supplement anytime. It would be wise to apply for and be approved for a new plan before you cancel the Mutual of Omaha Plan F. You can shop online or call 888-310-0376 to get quotes on multiple plans. James, To get a good overview of Medicare plan options enter your email address to sign up for our free mini-course. To receive a comprehensive needs analysis and recommendations you should speak with a licenses agent. Call (888) 310-0376 to speak with an agent in your area. Have Medicare A and B and have Mutual of Omaha plan F. Can’t seem to find out if these pay for Remicade infusion for Rheumatoid Arthritis. And need to know if they pay for the infusion and the the Remicade. Thank you for any help you can give me. Cyndy, The easiest way to find out if Medicare covers Remicade infusions is to ask the provider. Their desire to get paid will give you a quick and accurate answer. If infusions are covered your Mutual of Omaha Plan F will pay your share of the costs. Plan F will not pay anything independent of Medicare. Medicare supplements fill in the gaps and do not provide coverage for expenses not covered by Medicare. I have Medicare A&B, Plus Medicare Sup Plan F by United Health. Do I need Medicare D???? I am over 65. Glenda, Most insurance professionals would highly recommend that you enroll in Part D. You currently have no coverage for prescription drugs. A very small percentage of people on Medicare are in your situation. The enrollment period begins on October 15th and continues through December 7th. 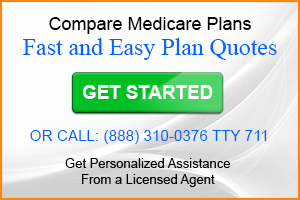 You can compare multiple plans and get quotes by calling Ehealthinsurance at (888) 310-0376. Glenda, Plan F is a Medigap policy and a PPO is a Medicare Advantage plan. Check this out to get some answers. We live in a motorhome and are traveling the country. We have a home that is occupied by others in Oregon…which is our home of record. What do we do for a plan F that would work anywhere in the country? Dan, Once you have purchased plan F it will be accepted anywhere where Medicare is accepted. You will need to purchase a policy with a listed permanent residence and the agent will need to be licensed in that State. If your home in Oregon is your home of record that should work. Explain your situation to an agent licensed in Oregon and they will make it happen. well i dont know how they expect you to make a payment if you can find the page to go to i typed in aarp medicare plan f.com and I can’t find anything!!!!!!!!! Debbie, This site in not owned or operated by an insurance company and no payments are accepted. 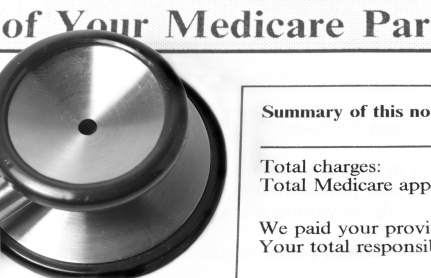 I got on Medicare 1/1/12 due to disability. I am not sure what Medicare supplement to go with. I was considering AARP Medicare supplement. How can I learn which Plan would be best for me? I am not familiar in this area. Thank you. Larry, If you are under 65 you should check the insurance laws in your State. Not all States require insurance companies to sell Medicare supplement insurance to people under 65 and on Medicare due to a disability. If it is available, expect to pay a higher premium than someone who is just turning 65 and eligible for Medicare. If it is available check out Plan F if you want the most comprehensive coverage. If you find that it’s not available (or too Pricey) you can enroll in a Medicare Advantage plan such as AARP MedicareComplete. Generally speaking, once you have selected a Plan, for example N, and have been on it for say a year, how hard is it to switch to another plan, say Plan F, within the same company or switch to another company’s plan. Joe, For changes within the same company it will generally depend on whether you are trying to switch to a plan with greater benefits. You will normally be subject to underwriting and may be denied a move up in benefits. Conversely, moving to a plan with less benefits will generally be a lot easier. When changing companies, you will generally be subject to underwriting unless you qualify for some type of guaranteed issue period. The plan that you are enrolled in at company A will not be relevant to the underwriting process of company B. DO I NEED A certificate of credible coverage WHEN APPLYING IF NO PRE-EXISTING CONDITION EXSISTS? Kurtis, Most applications will generally ask about prior coverage. Depending on your eligibility status ( open enrollment, Guaranteed Issue Rights) you may be asked to supply such information. David, My husband turns 65 soon. He is healthy and currently pays his full health insurance premium (self-employed) with a $5,000.00 deductible (HSA eligible), 100% after that paid by insurance company, (CIGNA). My dear friend, a private hospital case manager, said he should not consider a Medicare Advantage Plan as several providers where we live in Florida do not accept them. We are used to the gamble of medical costs, as we can afford the $5,000.00 and it keeps the premiums lower. Is it true that more providers deny the Advantage plans? If not, are there strong plans that limit OOP to a max of, say, $5,000.00 (ncluding premiums)? And what, exactly is the biggest advantage/disadvantage of the Advantage Plans? Thank you in advance for your reply. Marsha, Good question. Advantage plans can vary from County to County and I’m sure you can find some with less than $5000 Maximum out-of-pocket. But, healthcare reform legislation is set to lower reimbursement to medical providers. Expect more providers to not accept all plans. If I was in your husband’s shoes and was used to paying the premium for a 64 year old, I would buy Medicare supplement plan F while in the Medigap Open Enrollment Period. He will still need to enroll in a Part D plan, but the two combined premiums will be a fraction of what he is paying now. With a supplement, there’s no need to worry about providers accepting it. If they accept Medicare, they’ll accept the supplement. For Medicare-covered services, your husband will be set, with nothing more than the premium out-of-pocket. Cynthia, Good question… and a little grey area. You might try to find out what your doctor actually put in your medical records. If a claim was made and an insurance company wanted to verify it was not a preexisting condition, they would request written medical records from your doctor. Also, most preexisting conditions are limited to a 2 year look-back. If you are not currently discussing this option with your doctor, you will probably be fine if a hip replacement was required a couple years down the road. What ever you find, I would definitely b e truthful (to the best of your knowledge) on the insurance application. Medicare of the dis-enrollment? Thank You. Judith, You should dis-enroll from the Medicare Advantage Plan. If you do not, you will be automatically re-enrolled for the following year. Contacting the Medicare Advantage Plan is sufficient. Save the confirmation letter to show that you have dis-enrolled. Unless you are entitled to Guarantee Issue Rights, you may want to submit the application for the Medicare supplement sooner rather than later and request an issue date of January 1st. This will allow you to pass underwriting and know that you have a plan in place. I am 100% total disabled thru uncle sam department civil service agent in 1992 i was given Medicare A &B, age of 44 years. I am now turning 65 years i find out now that i must change health supplements so my brother checked with his friends what plan they took when they turned 65 they mentioned AARP plan F . Let me ask is not this AARP UnitedHealthcare if so 11% of doctors are leaving this plan! If AARP is a plan itself than great! I make less than 1000.00 monthly so I should qualify for Medicare B however i was declined. What is AARP Humana Plan F? Maryfaith, The United Healthcare Plan that are a having an issue with dwindling provider networks are Medicare Advantage Plans. I mean no disrespect but your questions lead me to believe that you have some misunderstandings about your Medicare options. You may want to seek out a trusted advisor. Or get a hold of your local Area Council on Aging office… they will be a great help to you. I have care plan F with united health care but I need my certificate of proof. have had it 4 yrs. . My husband has applied for plan F but was talked into a policy with colonial penn. which he had to to pay 254.00 to apply. I in the first place paid nothing. I have been told he has the better since his is a policy and mine is just a certificate????? colonial Penn for supplement. witch is better? Judy, If you both have Medigap Plan F your benefits are the same. Medicare supplement policies are standardized and the only thing that will vary from company to company is the premium and maybe the addition of some extras like a vision discount. Who told you that your husband has the better policy? The Colonial Penn agent? If someone is trying to “talk you into a policy” you need a new agent. I’m 67 and still employed with full BCBS insurance coverage benefits. I’m going to retire and I have RA. I get remicade infusions at the Drs. Office. Will I find a plan F medicare supplement policy that will cover this? Sally, Plan F benefits will be the same from all companies. Medigap plans are standardized. Plan F is the most comprehensive plan and as long as Medicare will pay for your Remicade infusions at the doctor’s office, Plan F will as well. I am researching Medigap policies looking at a Cigna Plan F. Is there any way to check on the rating of the F plan of this company and whether they will pay the benefits in a timely manner? I understand that no matter what company I choose a plan F will be the same coverage. I’m just having trouble finding company specific reliability on benefit payments, premium cost increase trends and customer service. Debbie, CIGNA is Rated “A” by A.M. Best. Getting claims paid by companies offering Medigap policies like Plan F will give you no problems. If Medicare pays a claim and your policy included the benefits for which the claim was paid… your Medigap policy will pay without fail. Thank you so much David! You have given me a lot of piece of mind that I haven’t found in all my research. Sherry, You are correct. You will pay your Part B premium, Part D premium and the premium for Plan F. You will have Guaranteed Issue Rights for up to 63 days from your husband’s group coverage ending. You cannot be denied and they cannot charge you a higher rate. See… nothing to be embarrassed about! Thank you, David. I forgot question 3. Am I correct that I should be aware how individual insurance companies price? For instance, using Plan F as an example, some companies quote the same price to everyone for Plan F no matter your age or health. Other companies quote a price depending on your age and health, so many people pay different premiums. And, finally, there are companies that increase the premium every year or so; on everyone. That type of pricing will be the most expensive in the long run. If these assumptions are correct, how do I question insurance companies to determine the type of pricing they use? Because you will have Guaranteed Issue Rights your health will not be a factor in your premium. Every insurance company will increase premiums every year or so. Not doing so would mean that they are either charging way to much initially or that they are going to reach a point when the premium is so low compared to their obligations that they are losing money. Rising premiums are a fact of life due to increased medical costs. Some companies offer an enrollment discount based on your choosing a plan within a couple years of being eligible. The discount diminishes each year and you’ll soon find yourself at a higher premium in line with what other companies charge. Kind of a low ball tactic to get you signed up. So ask if you are receiving an early enrollment discount and if you premium will increase at a faster rate as the discount is taken away. I understand Plan F will no longer be available to new Medicare enrollees beginning in 2020 since new Medigap plans paying for the annual Medicare part B deductible can no longer be sold. I also understand those who already have Plan F prior to 2020 will be allowed to keep it. With no new individuals entering the Plan F pool after 2019, I’ve seen predictions that rates for Plan F will increase by a greater amount in the future than other Plan rates. Questions: Does the change coming in 2020 also apply to the high-deductible version of Plan F? Would you advise those of us who currently have Plan F (or the high-deductible version) to change to another Plan (G?) to avoid higher expected future rate increases? Kenneth, I think a lot of marketers are predicting Plan F premiums going sky high to increase enrollments in Plan G, thus earning a commission. The premiums for Plan J which was previously discontinued did not become unaffordable for most people enrolled. I don’t believe that the High deductible Plan F is included in this change. I wouldn’t run out and switch plans now if I was in your shoes. David, thanks for the response confirming my suspicion of the motive behind the claims of high rate increases. I could find no mention of the increase concerns other than by those eager to sell me another plan. Glad to hear the high-deductible version of Plan F won’t be impacted, which makes sense as it has a $2,000 annual deductible and the reason for stopping new sales of the standard Plan F was because it pays for the Medicare Part B deductible in full.